Our multi-million dollar renovation boasts high style and high tech features. 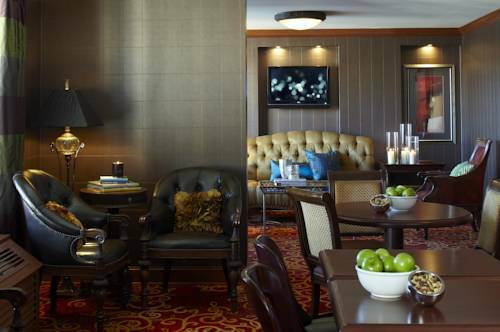 Conveniently located in downtown Minneapolis, the Renaissance Minneapolis Hotel, The Depot is ideal for business travelers, urban explorers and families seeking to discover Minneapolis / Saint Paul areas. Centrally located near both the downtown core, the Historic Mill District and Mississippi River with easy access to major freeways and Metro Transit Light Rail stations. Just a short ride or walk to many Minneapolis attractions and commerce including US Bank Stadium, Wells Fargo corporate headquarters, Target corporate headquarters, Guthrie Theater, Hennepin Avenue theaters, Target Center, Target Field, Mill City Museum and the Stone Arch Bridge. Originally built as a train station over a century ago, our guest rooms offer you the choice of modern or historic styling which provide Marriott luxury bedding, complimentary Wi-Fi and AVEDA bath amenities. Our Milwaukee Road features regional fare and locally sourced ingredients. Milwaukee Road: Milwaukee Road, our hotel's on-site restaurant, serves hearty, fresh cuisine with influences from here in Minneapolis, as well as elsewhere in the Midwest. Start your day with our delicious breakfast buffet, or join us for a relaxed lunch or dinner.